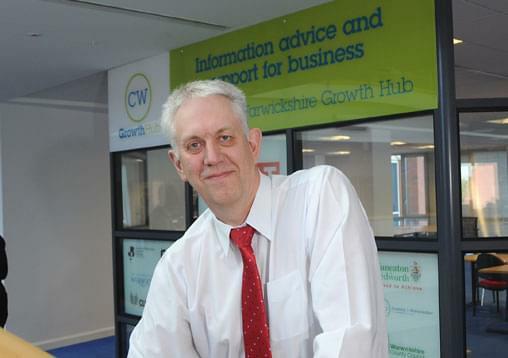 Companies across Coventry and Warwickshire can grow faster by tapping into a range of support through the CW Growth Hub. The Growth Hub pro-actively helps businesses grow by providing specialist advice and support from a team of experienced account managers, who also act as a signpost to a range of services and support from other organisations across the region. In many cases, the University of Warwick Science Park works with the Growth Hub to help deliver support required by individual businesses. Phil Peak, an account manager at the CW Growth Hub, said: “No two businesses are the same so we avoid offering a one-size-fits-all approach. We tailor the approach to the individual company’s needs and select the right partners to help with that. “We are not always the deliverer of support but we can help companies by signposting them to the right individuals and organisations. “The business support landscape is a crowded marketplace with both public and private sector assistance out there. Most business owners don’t have time to navigate their way through all of that – they want to know who and what support is relevant to them and how to access it. “That is where the Growth Hub comes in. We help businesses to access finance – either through grant funding or lending – and we can also point companies in the right direction if they want to trade overseas or need support through the planning process, for example. The Growth Hub is hosting a breakfast event for small businesses in April in Rugby. You can find out more about the event here. For more information about the CW Growth Hub go to https://www.cwgrowthhub.co.uk/.